Note: This is a recap of the 72 hour drop shipping business my team at Shopify and myself built. For the Shopify post on exactly how we built this business and generated nearly $1,000 in revenue in three days, click here. Every entrepreneur loves a challenge, so for us as a team of entrepreneurs, giving ourselves a challenge with a deadline was the best way we could think to put our skills to the test and demonstrate the entire process of building a business from start to launch. 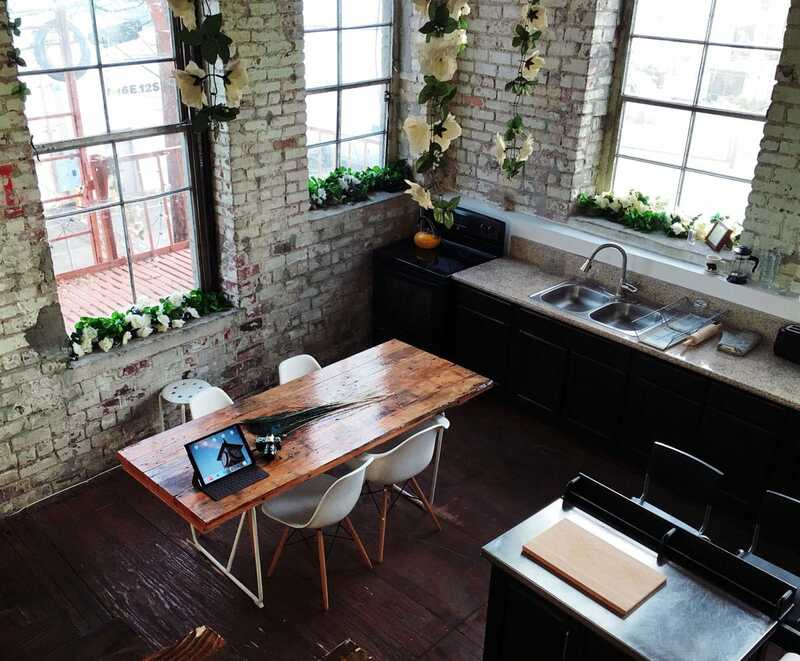 Building a business can be intimidating, especially if you’ve never built one before. There are many different steps in the process and choices to make between building and launching and that’s only the beginning. There really is no end to the decision making, there is only post-launch. So for the sake of timeliness, we gave ourselves the challenge of building an ecommerce business from scratch to see how much revenue we could generate in just three days. The best part about this whole challenge was getting started. No matter what kind of dreams you have about building any kind of business, the only way it’s actually going to happen is if you just get started. We wanted to show others that even if you don’t have everything figured out right from the start, building your own business is completely doable. You might not have a product idea or know exactly how you’re going to take product photos or maybe you have a tight budget to work with, but you can’t let overanalyzing paralyze you into inaction. You have to get started. So read on to find out step by step exactly how we started our own ecommerce business from picking a product, finding a supplier, creating a brand, marketing, shipping, and selling nearly a thousand dollars worth of product just three days after launch. First of all, we (Richard, Tommy, Tucker and Mark) needed to devise a game plan for how this business was going to play out. We needed to understand what tasks had to be completed in order to launch successfully and we needed to determine the amount of budget we would have to get us there. With all that said and done, we knew it was going to take some money to make some money, so we allotted ourselves $500 in start-up capital to help fund the launch of this business. Whether we would actually need all of this, or potentially more, only time would tell. We wrote the book on finding products to sell online, so that’s the best place we could think of to start looking for the perfect product to sell online. The chapter on trending products to sell online looked like the best place for us to start since we only had three days to get this business together, so that’s exactly where we started. As a group we evaluated the ten trending products the chapter discussed, any of them were as good a place to start as the other, so after a discussion we settled and picked matcha tea, purely because we liked the idea of it. Matcha tea is a finely ground, natural green tea powder commonly grown in Japan and has been an up and coming cult product around the globe in recent years. It’s already a popular and trending product. It’s small in size so it is easy and inexpensive to ship. It’s fairly lightweight so that won’t add weight to the shipping package. It’s commonly packaged in a tin or a sealable bag so it will be durable to ship. Demand for matcha isn’t affected by seasonality, it remains fairly stable throughout the year. It’s a consumable product which can generate repeat sales from current customers. It serves a passion for tea lovers. 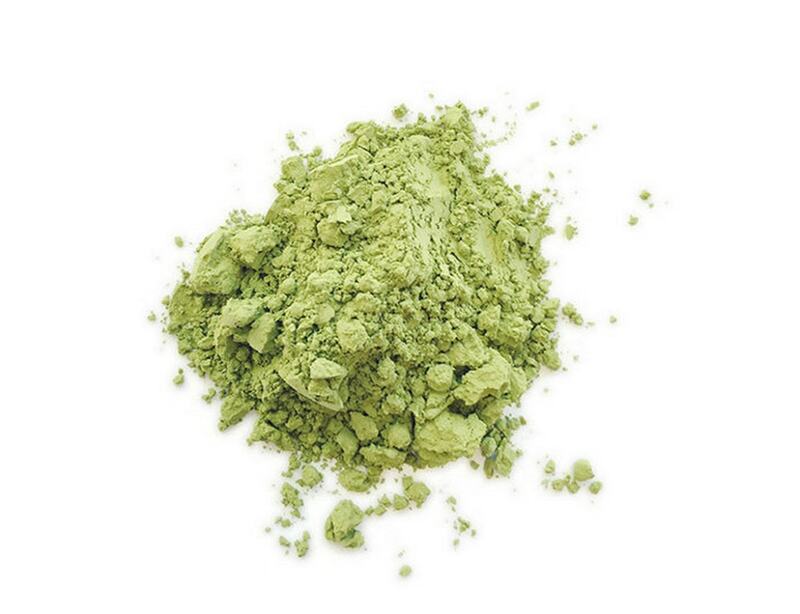 Matcha powder has had an uphill climb throughout the years, gaining more and more popularity. Most matcha tea products are sold at a low price level (around $20-$30). If we chose to dropship, our profit margins would be especially low considering how low the selling price is. 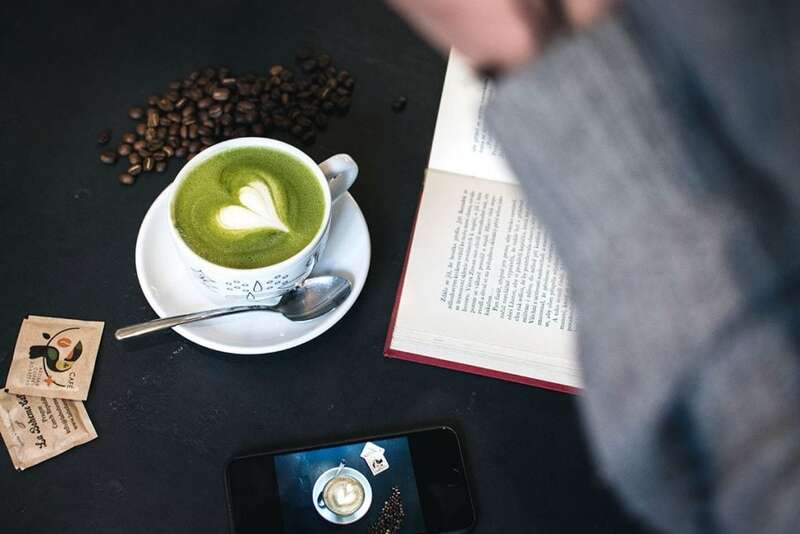 No matter what product you choose to sell online there’s always going to be arguable pros and cons, so we decided that even though there were a couple of drawbacks, matcha tea would still be a great product to sell online. Make: Although making our own product would allow for larger profit margins, in the three day time limit we gave ourselves we certainly didn’t have enough time to make matcha tea from scratch. Manufacture: For the same reasons we chose not to make matcha tea, manufacturing would, again, allow for larger profit margins but we simply did not have enough time to source a manufacturer and produce our own matcha tea. Wholesale: We knew that with our allotted time we would have to sell directly to consumers and not wholesale to other businesses, so that sales could be made as quickly as possible post launch. Dropship: This was the best option because we would be able to find a supplier, private label our own product and sell directly to consumers without managing inventory. The drawback to this business model meant that we would have a reduced profit margin but for the sake of the challenge this option made the most sense and we decided to go with it. Offer their services at a low cost. Let us label the matcha tea with our own branding. Have low cost and reliable shipping. 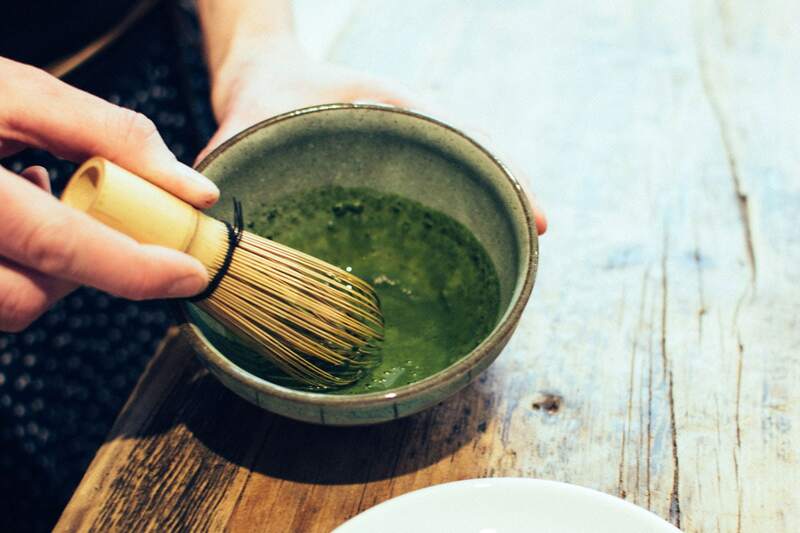 First things first, we searched for matcha tea dropshippers in our local area. 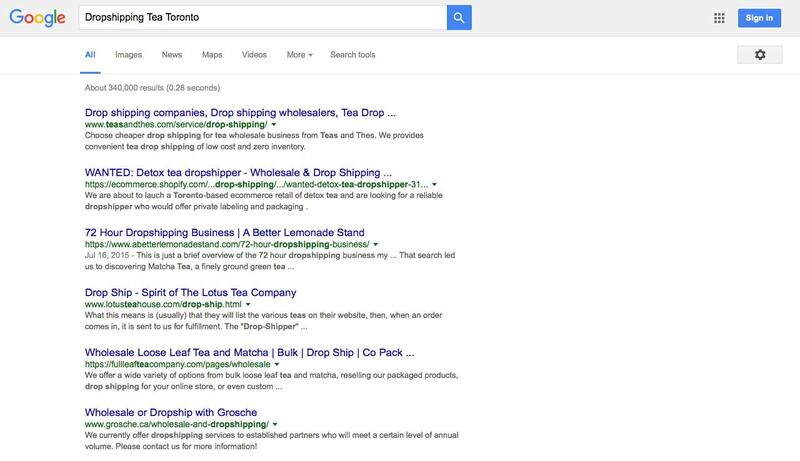 We Google searched terms such as “Dropshipping Tea Toronto”, “Wholesale Tea Supplier Toronto” and “Wholesale Tea Toronto”. We found what looked like some promising results, however, the suppliers we contacted wanted to keep their personal branding and would not let us label the matcha tea with our own personal branding. At this point, we’d hit a roadblock. The purpose of this challenge was to create our own business and we couldn’t do that while simply re-stocking another brand’s products. We needed to expand our search. Moving out from our local area, we decided to make it less geographically specific and search terms like “tea and coffee dropshippers”, “tea suppliers”, and “private rights tea”. At this stage we learnt first hand how difficult it can be to find the right supplier for any product. The problem we ran into at this stage was suppliers who wouldn’t provide their product to us unless we met their minimum order quantity. We didn’t know what minimum order quantity we could meet because we were just getting started, so these suppliers weren’t going to work out for us either. 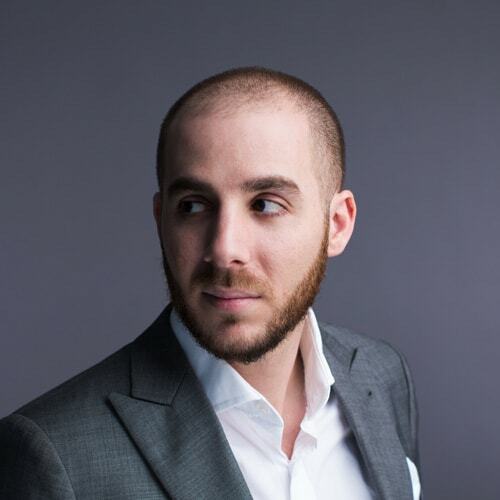 Eventually, on the tenth page of Google, we were getting discouraged and frustrated, so we finally picked up the phone, called a potential dropshipper and pitched our non-existent business plan to them. Their services to be offered at a low cost. Our brand to label their own tea. Their shipping to be reliable and low cost. Low cost per unit prices. Our brand to label their tea. Reliable and low cost shipping within USA. The one drawback was that the product only really made sense to sell in the USA because the higher international shipping costs would eat into our profit margin, but we knew we had found a quality supplier who cared about their product and having us as a client and after looking for so long we weren’t willing to give that up. We had finally found our perfect supplier! It should always be noted that no matter how reliable your supplier might seem and no matter how much you think you’re on the same page about your products, always, always, always order a sample first. Even when you don’t think you need to order a sample, order a sample. Even when you’re trying to build and launch your business in three days and you have to express ship a sample order of matcha tea from the US to Canada, order a sample. We also needed to the try the tea before we could sell it and we needed a tin of the tea to take product photos. So we ordered a sample, and it was perfect. We whipped up some of the matcha tea for the experienced tea drinkers and matcha lovers in our office and thankfully the reaction was overwhelmingly positive! We knew we had the right product for our business, so it was time to move forward. As matcha is considered to be a premium tea product in North America, we knew we could charge a premium price for it and that psychological pricing tactics would work in our favour because consumers positively associate price with quality. A tin of matcha tea cost us $10.25 from our dropshippers, and upon doing some research we discovered the premium price range for matcha tea existed anywhere between $15-$30 for 30g of tea. Upon further deliberation, we decided to sell our tea for $24.99 a tin, meeting somewhere in the middle of the premium price range criteria and meaning that our profit margin would be nearly 60%. Considering we’re dropshipping, that’s a pretty high profit margin and probably not the profit margin we expected from the beginning of this whole process. Now that we decided how to price our product we could start branding it. Creating a brand story is a vital part of a convincing brand, and we wanted our brand to fit in with premium level, organic, pure and healthy lifestyles because we were aware of the movement going in that direction at the moment. We looked to other brands that existed in that realm of branding, such as SkinnyMe Tea, Lululemon, and healthy lifestyle focused social media influencers. We noticed that in the branding of those businesses and influencers there were some common denominators in terms of design and colour. We focused on the clean layout, crisp fonts, lots of whitespace and copywriting that included phrases such as “a better you”. We knew we could incorporate this kind of aesthetic and wording into our own brand so our product would appeal to that certain demographic, so we kept that in mind as we continued to make decisions for our business and as we named our brand, labeled it, and created a storefront. Your brand name is one of the first points of contact between you and your customer, so we wanted to make sure our brand name was simple and approachable. 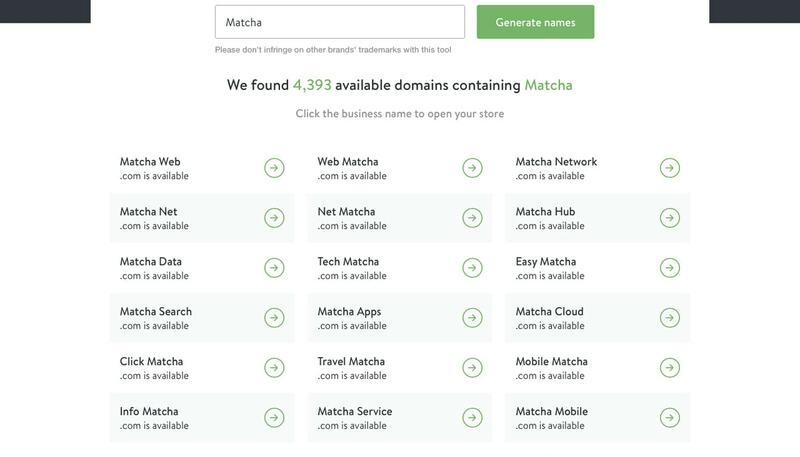 We knew that Shopify has a business name generator tool so we decided to start with that. As we discussed the names we finally narrowed it down to Hello Matcha because it met our criteria for being simple and approachable, plus it sounded friendly, was easy to remember, and the “.com” was available for it. Just like the brand we were trying to create, our logo had to reflect our brand story of being clean, fresh and pure, so we needed to create a logo that would give off those vibes. If we had more time available we would have considered hiring a professional designer to create a logo for us, but we didn’t have that much time. We did have a basic understanding of Adobe Photoshop, however, so we decided to see how far we could get with that. Since none of us are experienced designers, we knew that a type based logo would be easier to create than one with heavy graphics, so we decided something simple and basic would suffice and be realistic to create. Our final result met our criteria, wasn’t too complicated but it gets the point across and would look good in a variety of sizes like for our label and our website. 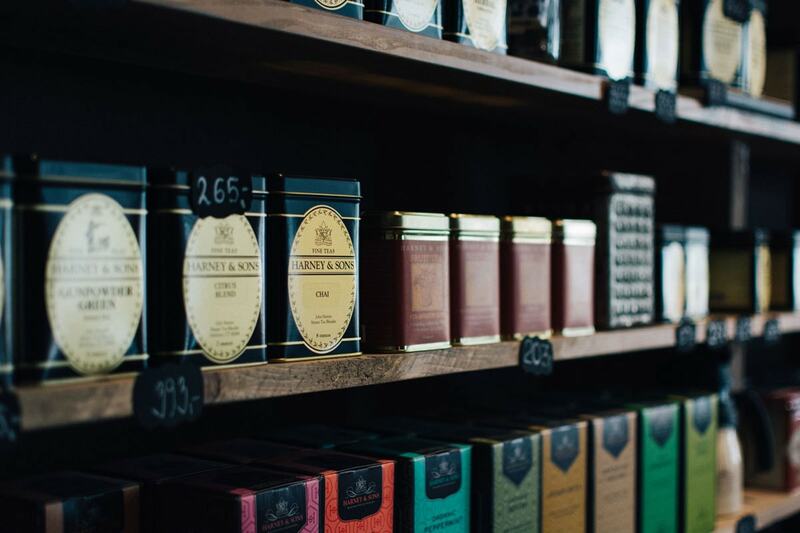 Because our dropshipper supplied tins for the tea, the best way to brand that packaging was to create labels for our dropshippers to put on the tea tins. We discussed the proper dimensions with our dropshipper and got to work making sure they were the right measurements, colour profile and as high quality as possible without being too expensive. Instructions for how to make the tea. A quote about healthy living and tea. At first we ordered some sticker samples from a local printer shop in our area to see how the design looked in person and on the product packaging. Once we tried these stickers on the product in real life we were so happy with how the product looked as a package and placed a large sticker order with StickerGiant online for 250 sticker labels for our dropshipper to use on the product. It was so rewarding to finally see the packaging coming together and looking like a real life, sellable product. Now that we had a branded product package that we were happy with, we had to take some images for our website and social media accounts. We didn’t have the time or money to hire a professional photographer, so we decided to make our own makeshift set up on our office using what we had. We knew that with a smartphone, a good backdrop and some bright natural lighting we could take a pretty professional looking product photo, so we got straight to work. We set up right near a big window and placed our tin of matcha on our photography surface. We eventually ended up using Clipping Magic to isolate the product image to get rid of the background so it could integrate seamlessly with our store webpage and create an uninterrupted image. Alternatively you could use other services like Pixelz and Pixc to get the same effect by a professional. We needed a place to sell our product to customers so naturally we set up a Shopify store. With a two week free trial for new Shopify stores we could easily set up our Hello Matcha brand and decided to spend some of our remaining budget on a premium theme that would showcase our single product well. 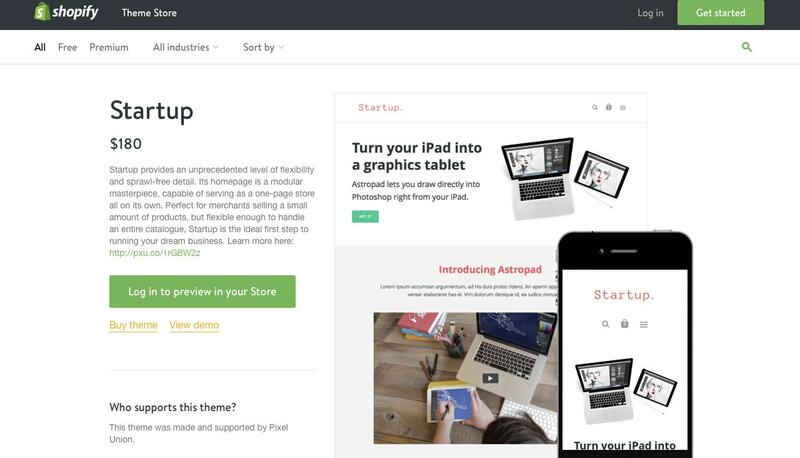 We chose the Startup Theme for it’s easily customizable, beautiful layout that we wouldn’t have to have any knowledge of coding to set up because we wanted to create something that the average person could create. This theme was the perfect choice for that because no coding was required and we were able to create a simple and beautiful storefront that showcased our product exactly how we wanted it to. A convincing hero image for the website’s homepage. Clear, crisp and eye catching product photography. A well written up About Page. Brand story copywriting on our Homepage. After all that was completed in a few hour’s time, the Hello Matcha storefront was set up and ready for business. In our case we only have one product, so we only had to create one product page. Most stores will offer more than one product so you’ll need a product page that describes every single product on your store. The quantity of the product (30g in this case). Instructions on how to best use the product. Some information about matcha tea. We wanted to include the last two points to specifically highlight what matcha tea is, how it’s different from other tea and why someone should drink matcha tea so in the event that any potential customer didn’t know what matcha tea was or why they might want to drink it, this would answer any questions they had without them having to look up the information themselves and risk them leaving the product page. Outreach to friends and family: Since most of us are from Canada and most of our friends and family are as well, only one member of our team had any personal contacts in the United States which is where our drop shipping company was limited to shipping to, so he reached out to his contacts which generated some interest and resulted in six sales. Product Hunt: Product Hunt is a website that features the best new products every day and one of our team members happened to have a contact that worked for Product Hunt and was able to get us featured on the site. This provided major impact to the Hello Matcha website as it direct 900 visitors over to our site and resulted in 12 sales. Product Hunt is one of the many websites that curates new products so be aware of what’s around you that’s relevant to your business and products. Reddit: Reddit is a large and very diverse community of active participants, but there are some very strict rules when it comes to interacting and posting on the website and unless you’re actively engaged in the community it can be difficult to understand and navigate. Its users are extremely dedicated to defending the integrity of their community so they aren’t afraid to remove posts and ban you from parts of their website if you don’t follow the rules so be prepared to play by them. We wanted to create fun and informative tea related content we could post Reddit that would redirect traffic to our Hello Matcha blog that was part of our website, so we searched for popular tea related content on BuzzSumo that we could make into a blogpost. The first blog post we made regarding tea related lifehacks drew 48 pageviews to our blogpost but no sales. Our second attempt about interesting and awesome tea sets from around the world got removed from Reddit before it had the chance to generate any traffic which was unfortunate, but part of the risk associated with posting onto Reddit. Instagram: We knew the best way to approach this would be to find Instagram influencers with hundreds of thousands of followers to agree to promote our product and give a shout out to our website. Most Instagram influencers charge a fee (the more influence they have the higher the fee) for paid sponsorships, so we made a large list of potential Instagrammers to reach out to in case some declined or their fee was too expensive for our budget. 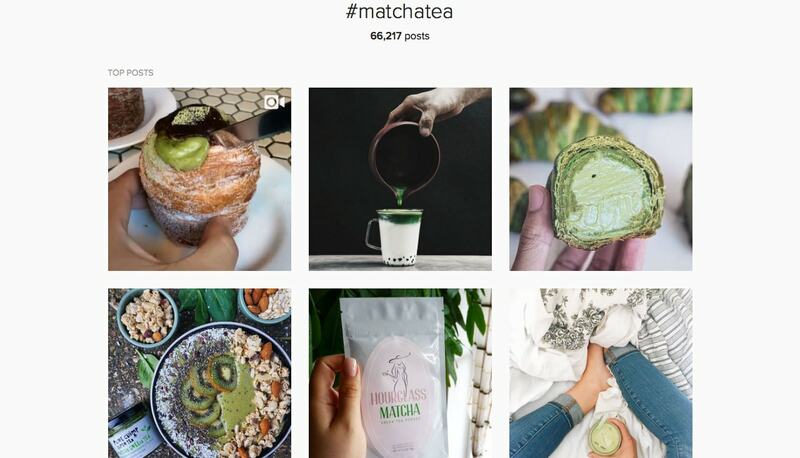 Since we wanted Hello Matcha to represent healthy, premium lifestyles we reached out to Instagram influencers that belonged in categories such as health, fitness, yoga, tea, weight loss and workout apparel. We didn’t manage to get an Instagrammer to work with us because our sponsorship budget of $30-$60 was too low and because we were asking on such short notice, so we ended up simply participating in the Instagram community by liking and commenting on different images that we found by searching hashtags such as #tea, #tealovers, #healthy, #teatox, #fitness and more. This resulted in 12 sales. Pinterest: We didn’t have time to grow our own following on Pinterest so we needed to get our product featured on someone else’s. 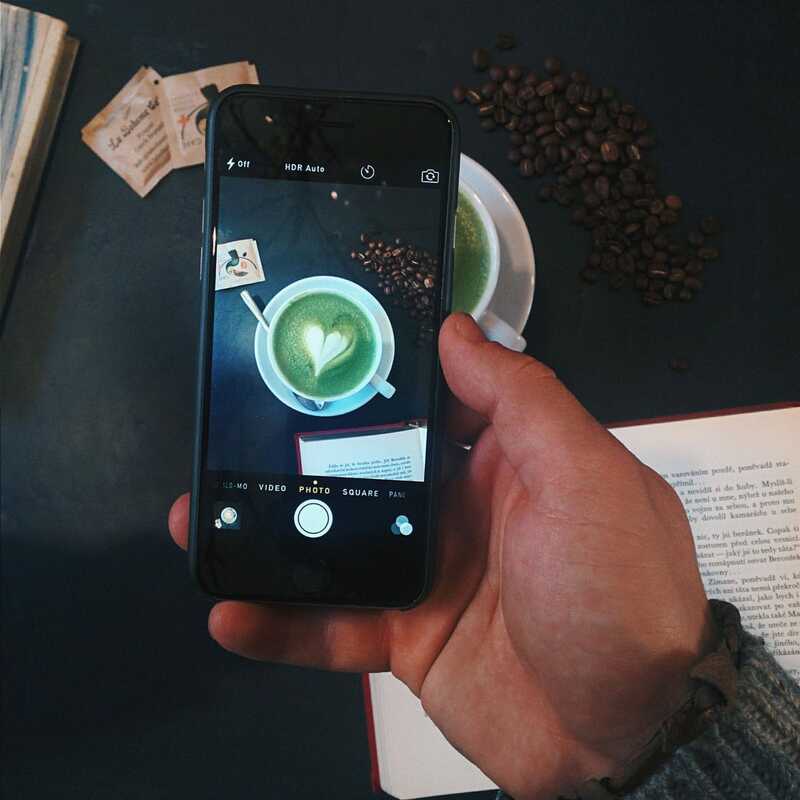 After some research on Pinterest and online we devised a blogpost for own blog that could be pinned onto Pinterest that gave a recipe to replicate a Starbucks green tea latte. We found a Pinterest account that was willing to pin our Starbuck’s latte recreation blog post for a fee of $20 which generated 17 visits to our site and no sales. Pinterest now has a buyable pins option which is very different from this process and is worth looking into. 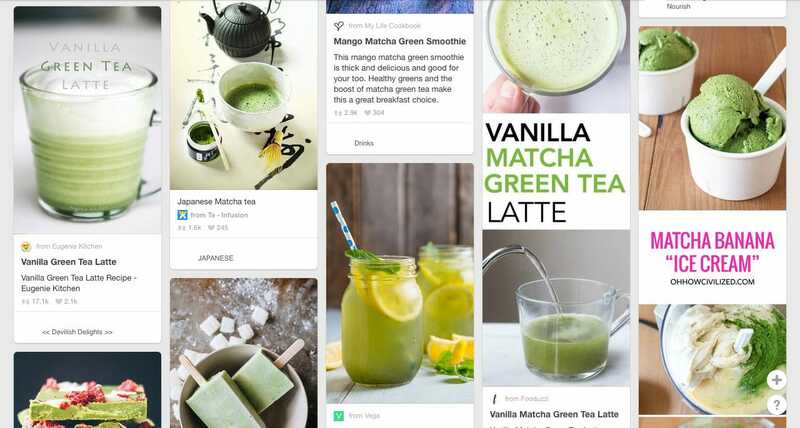 Facebook Paid Advertising: We set up a small Facebook ad campaign that directed users to our Hello Matcha homepage which was targeted to users between the ages of 18-50 who were interested in things like “green tea” , “matcha” , “Gyokuro” and “Sencha” and “David’s Tea”. For this ad we spent $24.11 and it resulted in 45 page views to the Hello Matcha website and 1 sale. If we had more time we would definitely focused on improving our ad campaign and reaching more Facebook users, but for the time we had this was our end result. Twitter: We tweeted from our own personal accounts about Hello Matcha but we didn’t focus on twitter as a sales channel. Based simply on retweets of our original tweet, we generated 184 visits to the site and 1 sale. While we had originally allotted ourselves $500 to set up this business, we went well over it, ending at $866.04 due to some extra purchases. We didn’t need to purchase the premium Shopify theme for our website, however we loved the design and were happy with how it showcased our product on our store. While we may have “only” profited around $56 for our efforts, a lot of these costs were one time purchases associated with setting up an ecommerce store that would have eventually evened out over time and been balanced out by profit. We managed to create this business from startup to launch within a three day period and tried and tested the whole process of building and launching to the best of our abilities resulting in some pretty decent pageviews and sales. 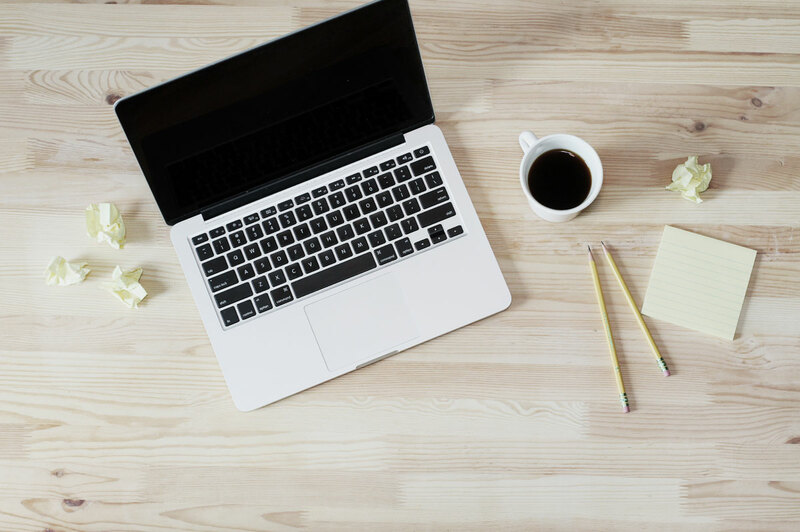 This whole process was just to get the experience of what it’s like to set up our own ecommerce business and explore the many options and choices there are to make along the way. So what’s stopping you? See how easily we built and launched our own ecommerce store in three days? You can do it too. We hoped you learned something, and we hope you’ll start something too. Great Post. I found it first on the Shopify blog. Quick question. What about insurance for this type of business? I am in Australia and am planning on launching a private label Matcha product in the US but am not sure what to do for insurance. Would it be covered by the manufacturers (private label companies) insurance? Are you essentially becoming a retailer or a wholesaler on an imported product? Unfortunately these are questions I’m not qualified to answer. You are reselling another product, buy you’re still responsible for the products you sell. My suggestion to you is to go on Clarity.fm and find a qualified professional in the US that can give you the proper answer to you questions. They charge by the minute and you should be able to get most of your questions answered in 15-20 minutes. For the price of $20-$50 it will give you peace of mind. Hey Guys great article. I’m just wondering did have the product dropshipped or did you ship the product yourselves? Hi guys great article, would you be able to share the name of the dropshipper you used? Hello RIchard, first of all my compliments for your awesome blog. I find this post very usefull, but please forgive me my ignorance in this type of business, I’m still new in it. So I would like to ask you how did you manage that your labels got on your product/to dropshipper in this short period of time. I am trying to get some ideas about dropshipping in coffee industry, and we found some good rostery in Netherland, really high quality product, guys are awesome and usefull, but this stuff with labeling gave us some headaches in the beginning (I live in Germany), so for the first orders I made some initial inventory and put it by myself. Or did you get the luck to have your droppshiper just around the corner . Thanks a lot for your answer. We have the labels printed and sent directly to the drop shipper who agreed to apply them to the product for us. Thanks for you great info on dropshipping! Did you brand the shipping package for each matcha as well? Or did you just ship them out to customers in a generic box with matcha can inside? Thanks for your answer. Because we were dropshipping it, it’s a little much to ask them to store personal and customized boxed for us so we just used their standard brown shipping boxes. Thank you for your great article! Did you print the logo yourself for every product you sold and sent them to the manufacturer or did they do the work? It’s been 7 months now, Is it possible to get an update on how things have gone over the first 6 months? How much more in advertising? Cost of insurance? Customer Returns? Did you register hello matcha as its own business or run it under another? Just looking for a bit more info on the longer term ramifications. Unfortunately, we ended up running a contest and gave this business away to the winner shortly after we launched the blog post. Thankyou great article very helpful 🙂 You gave great detail in this post it was great I shared your post on my twitter page I will check you out again. Hi, I am a Matcha Tea blogger and I have been really longing to sell Matcha Tea. I think your article covers most of the questions I ask myself. 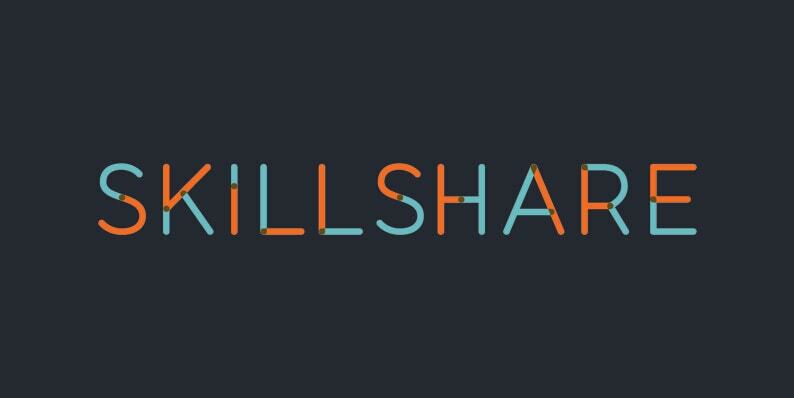 This is the better way to start business and help people get started. Thank you! Hi I was blessed to capture the greatest web domain name “ishopatwork.com”. How did you get the custom packaging delivered in your dropshipping, is that a common thing for dropshipping? This was really well written. I must say, that was some hard-work and effort put into successfully setting up a start up and receiving a profit of $56 in just one day, unbelievable . Amazing! Really inspiring and helpful article.